ITHACA, MARCH 14, 2017 — Hardworking and dedicated city and downtown employees and the city’s latest developments were in the spotlight Monday night as the Downtown Ithaca Alliance presented awards during its Annual Dinner at Ithaca’s newest hotel Marriott on The Commons. “So many people work every day to make downtown a successful and vibrant place. This is our opportunity to highlight and recognize a few of these people and businesses that have helped to shape and grow downtown. 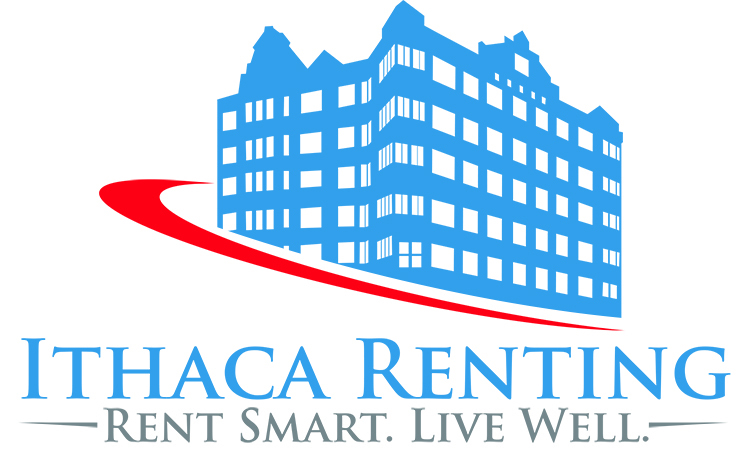 The one common denominator for all of the awards…a passion for downtown and the community,” said Gary Ferguson, Executive Director of the Downtown Ithaca Alliance. Eight awards were given including a special distinction for Phyllisa DeSarno who was honored for her extraordinary contribution to the life and improvement of Downtown Ithaca during her 12-year career as the city’s Economic Development Director and long-time DIA board of directors member. “Philly has been a key and vital force working to recruit new businesses and bring new investment to the city’s center. Over the years, Philly has made countless trips to other cities, with the DIA and on her own, to attract new businesses and investors to Ithaca. Her successes are many. Businesses such as the Finger Lakes School of Massage, F. Olivers, and the Cornell Store exemplify just a few. Philly has worked with developers to help shape and facilitate projects…downtown’s new Commons, Seneca Way and this Marriott Hotel are three such examples. Most of all, DeSarno has been a tireless champion and advocate for Ithaca… to small and large businesses alike,” said DIA Board of Directors President Steve Hendrick during the special presentation. Plaques were also presented to The Carey Building owned by Travis/Hyde Properties, Marriott Hotel owned by Urgo Hotels, Simeon’s on The Commons owned by Dean Zervos and Rich Avery, and the American Crafts building owned by Robbie Dein and managed by Joseph Gaylord. Each structure earned an Economic Development Project of the Year award. The Carey Building, located on East State Street, was a two-story retail and office property that had not been upgraded in years. Owners, Travis/Hyde Partners, working with Cornell University, came up with a bold plan to take this small but strategically located property and transform it into a much larger and significant building. Travis/Hyde actually did an overbuild, adding five stories above the architecturally significant original building. The Carey Building’s four-story vertical expansion adds residential space and more room for the REV Ithaca Startup Works, downtown’s community business incubator program. The project also features the region’s first micro-apartments, which became an instant hit with the market. The building added balconies and neon light flourishes that result in a striking contemporary image that helps reshape the Downtown landscape.The expanded portion welcomed new tenants in August. Marriott, located in the heart of downtown and a bookend on Ithaca’s award-winning Commons, opened in the late Fall and showcases a sleek and sophisticated design throughout its exterior and interior that is sure to catch any visitor’s eye. A view from the upper levels of the hotel offers a stunning perspective of downtown. The property also features Monks On The Commons, its own in-house restaurant. A devastating accident prompted the beautiful redesign of one of downtown Ithaca’s beloved restaurants, Simeon’s on The Commons. The restaurant’s exterior is a near replica of the former historic design while the interior features an updated bar and dining area on the first floor and an upscale dining space and cozy sitting area on the second floor. American Crafts also underwent a transformation. The once pink-hued structure with a dark colored facade now boasts a creamy butter tint, and the cast iron Corinthian column accent pieces are muted gold — a color scheme that was selected by building and store proprietor Robbie Dein and local designer Denise Rusoff. This investment, which has added attention-grabbing color and unique, decorative tile work to the 150-year-old structure, is just one of many building refurbishments Dein has had done since purchasing the building 30 years ago. Downtown and city employees also garnered honors during the ceremony. Green Street Pharmacist Nicole Pagano, the DIA’s Operations Committee chair and a member of the City of Ithaca mayor’s Drug Task Force was named DIA Board Member of the Year, Homegrown Skateshop owner Andrew Douglas was named the Young Retail Entrepreneur of the Year, and Commons Crew Chief Duane Ross was recognized as City Employee of the Year. The evening affair, sponsored by Tompkins Trust Company and Ithaca Renting, also focused on the future of downtown with TED-style talks from special guests The Cornell Store’s Patricia Wynn, Watershed’s Ashley Cake, and Travis/Hyde Properties’ Frost Travis who each offered informative speeches about the future of their respected industries.